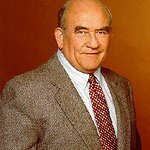 Heifer International is proud to announce that Ed Asner, who played gruff but lovable Lou Grant on “The Mary Tyler Moore Show” and Santa Claus in “Elf,” and Mark Feuerstein, from the hit series “Royal Pains,” are the stars of the first-ever Heifer at Hanukkah campaign. Heifer at Hanukkah promotes unique Hanukkah gifts for kids that educate them about the Jewish precepts of tzedakah (charity) and tikkun olam (repair the world). A donation to Heifer International provides farm animals, training and more to impoverished families around the world, giving them a hand-up, not just a handout. The goal of Heifer at Hanukkah is to help children appreciate the importance of charity and how their charitable contributions help repair the world and lift families from poverty to self-reliance. Children learn that Heifer families feed themselves with the milk from cows and goats, and the eggs from chicks and ducks. They also learn that families sell the surplus for income that helps send their children to school, provide health care, and improve the quality of their homes. And finally, they see how a single farm animal gift can provide a multitude of benefits when that animal has babies that are passed on to other families in need. Visit www.heifer.org/hanukkah to learn more about Heifer at Hanukkah.